Nerve Pain Combo NEW in spray form for topical pain relief. Formulated to address symptoms from nerve damage, numbness, unexplained nerve pain, burning pain. Apis Mell provides soothing relief for swelling and edema. Apis Mell is useful for skin rashes, skin symptoms with burning and itching. 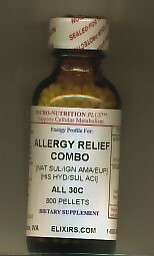 Use Apis Mell for symptoms from allergies such as hives.